For every course, there are two options available. I went for the salumi, of course. 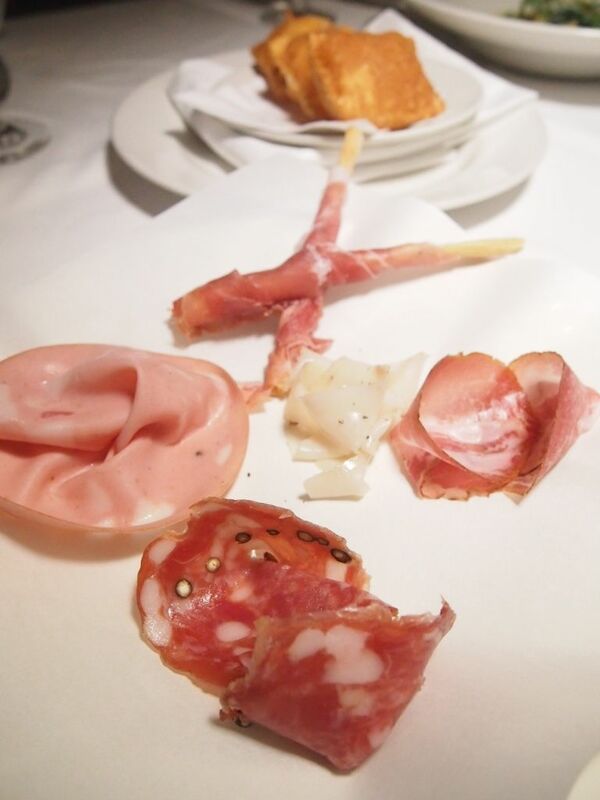 A mixed platter of thinly sliced prosciutto, salame, coppa, bresaola and lardo came with fried gnoccho fritto. Drape a piece of lardo onto the piping hot fritto and you're good to go! Oh, and that prosciutto that was wrapped around a breadstick was just amazing. I didn't try this but good things have been said about it! 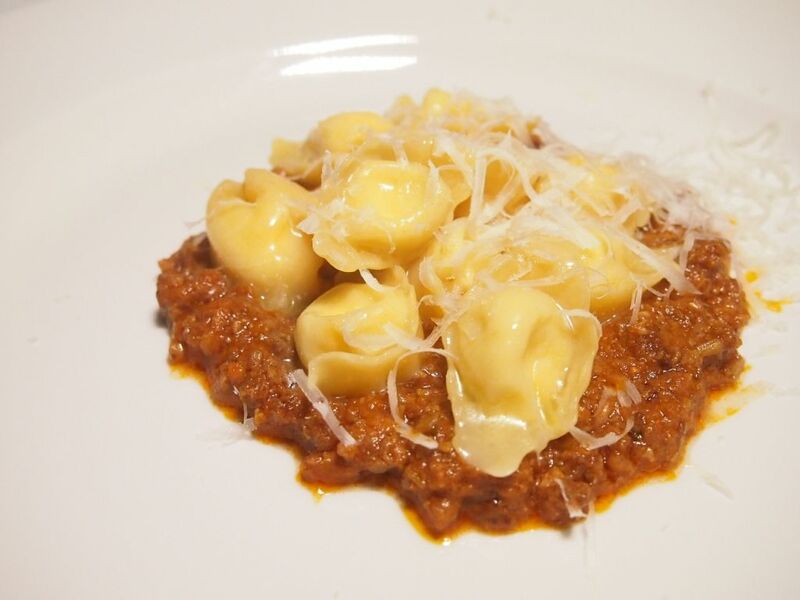 Little triangles of fresh pasta are stuffed with ricotta cheese before that are set on a bed of a lighter variation of Mario Batali's classic ragu Bolognese. The sauce consists of finely-ground pork, veal and beef, and is cooked for more than four hours over a low flame. I love how tasty the entire mix was. The little bursts of cheese, coupled with scoops of the brilliant sauce, had me at hello. I was torn between the two choices for my pasta dish, but I decided on this as it is the first time that I'm encountering it. The pork-filled pasta is first served dry, before the server pours in a capon broth. 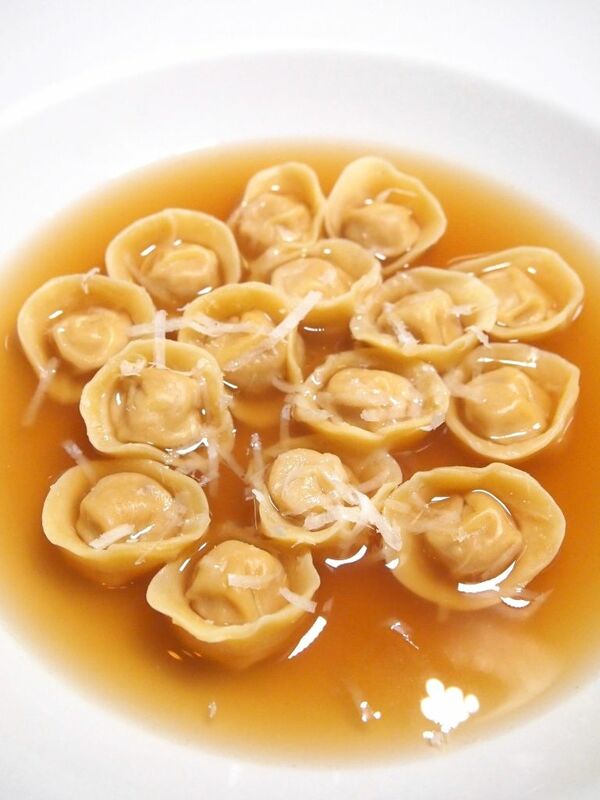 The bite-size fresh pasta is filled with veal, prosciutto and mortadella. The broth looks light but is actually quite strong in flavour. I enjoyed the pasta but it was a tad too salty for me. The oven-roasted grouper won my heart in an instant - pristine freshness, tender but firm texture, and a subtle but captivating sweetness. 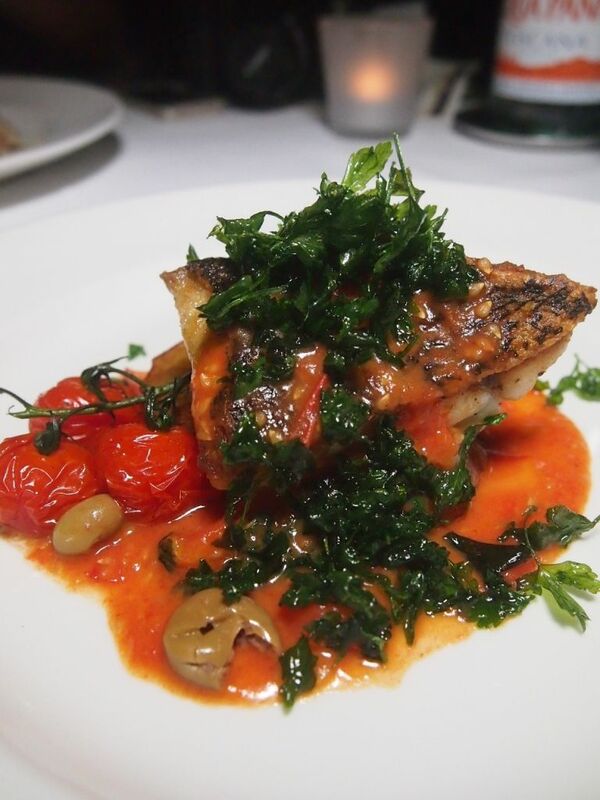 I would never pick a fish dish over a meat dish but I'm a convert, after trying Osteria Mozza's masterpiece. Even the fingerling potatoes were awesome! 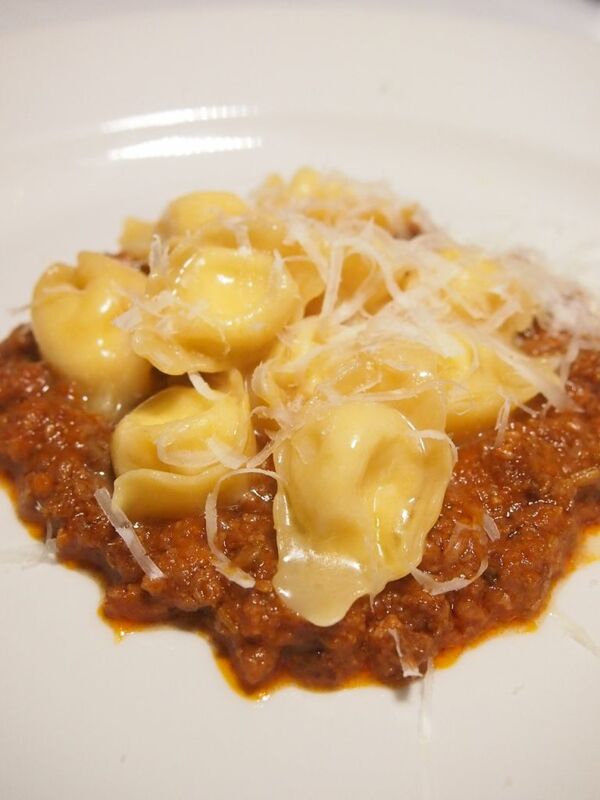 The Bolognese does not refer to the Bolognese sauce that we are all too familiar with. Instead, it refers to the breading of the best Dutch veal loin. 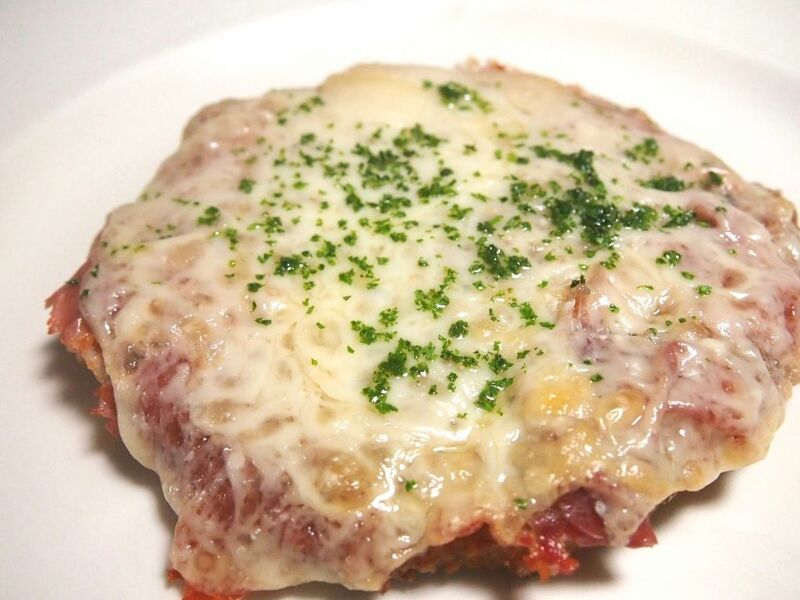 After the breaded veal takes a shallow bath in hot oil, it is topped with Prosciutto di Parma and Parmigiano Reggiano. While this was very unique, I found the veal slightly tough and the overall combination a little too salty. A traditional dessert from Bologna, Emilia Romagna, Torta di Riso is a sweet rice tart. 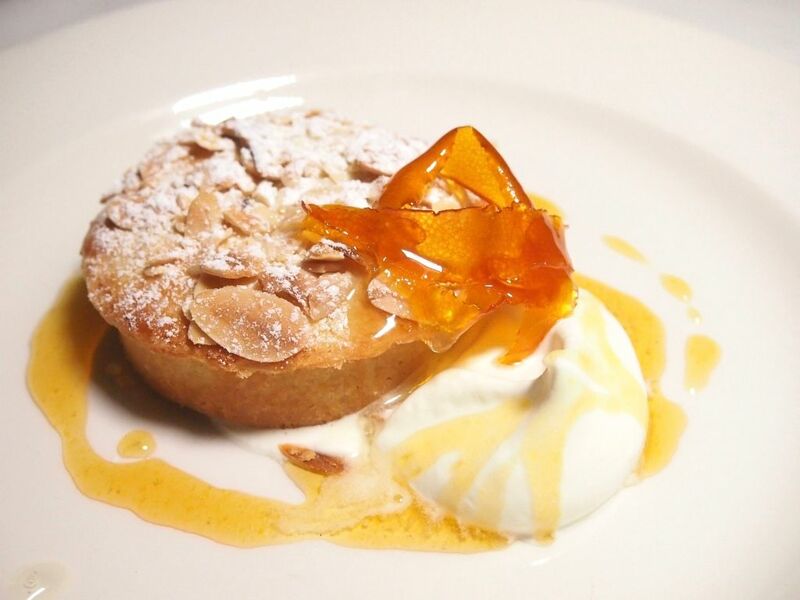 An impeccable tart crust is filled with orange-flavoured rice filling, and has the honour of being accompanied by almonds and crème fraîche. To be very frank, I'm not a fan of orange-flavoured desserts. However, this was really pretty decent. I especially adored the cream! 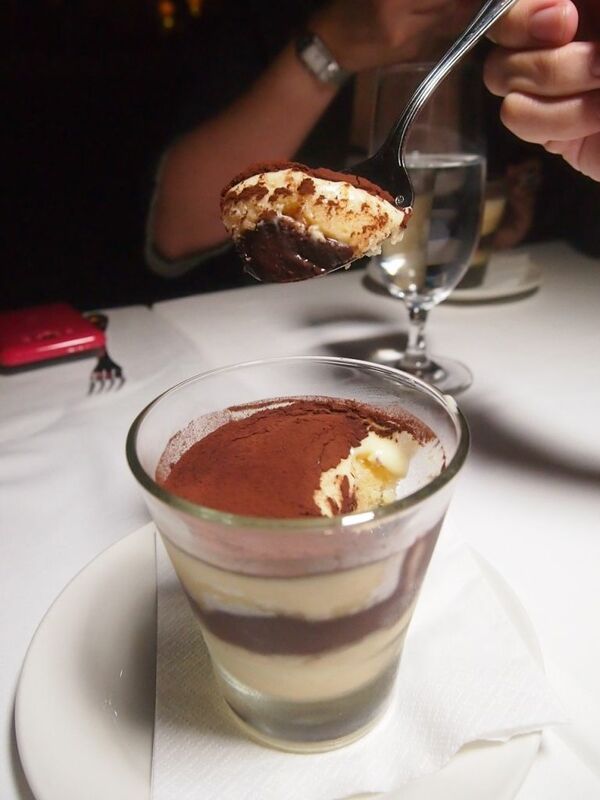 At first glance, one might think that this is Tiramisu. Don't take the name too literally, this is not an English soup. It is, however, inspired by the British trifle. Sliced sponge cake is soaked in brandy and layered with chocolate and vanilla cremes. For those who have a special place in their hearts for anything alcoholic, you will like this. They sure don't scrimp on the brandy! The 4-course dinner goes for $128++, and $228++ with wine pairing. 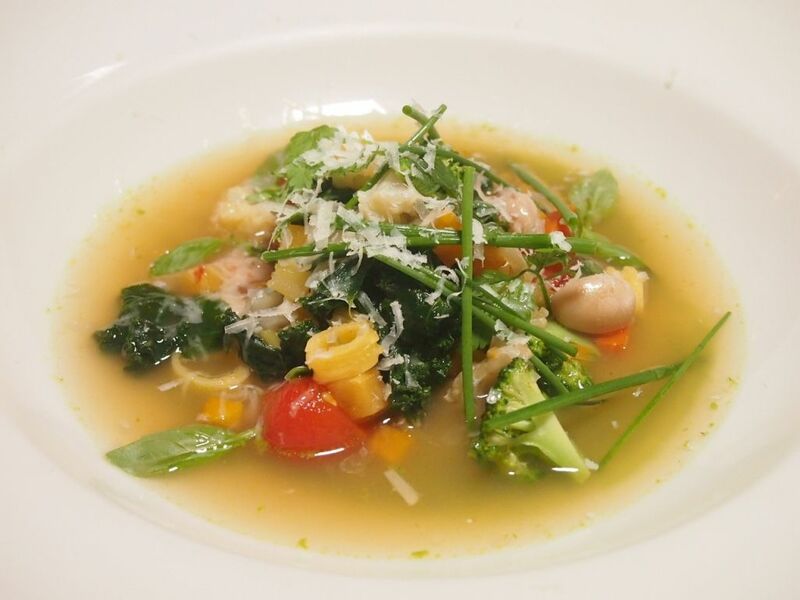 Come celebrate the finest produce of Emilia Romagna with Nancy Silverton and Osteria Mozza! There's only 18 days left for you to try this menu before a new one drops.